Ransomware really shouldn't be the big deal it has become. 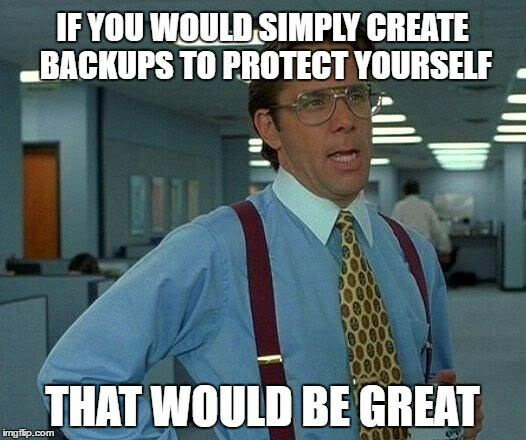 We should have always been making backups so that ransomware wouldn't have been an issue in the first place, but barring that, once it did become an issue we should have started making backups. So why haven't we (collectively) started doing that?